The English Book in Novi Sad is the only exclusively English bookstore in the city. And when it comes to the depth and quality of its stock, we think that it can compete with the bigger and much more popular IPS Mamut bookstore. Although The English Book is located just two streets away from its more successful competitor, we've always found it sadly empty during our visits. 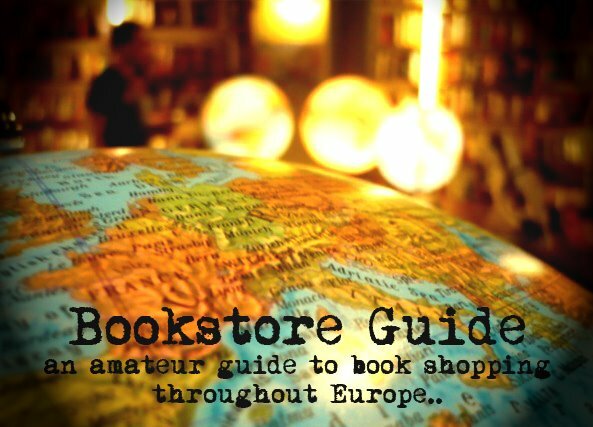 Still, we're sure that this bookstore has found its regular customers and we can only recommend it to all the locals and travelers to the city who haven't visited it yet. The English Book has been selling books in Novi Sad since 2005 and it has moved twice until it found its present location at Njegoševa 14 in 2007. It seems like it has finally found the right place as the spacious and nicely designed interior contributes to the overall cozy atmosphere of the bookstore. The English Book also operates in four other Serbian cities (the addresses can be found HERE) and the bookstores in the capital city of Belgrade and also in Nis both offer a rather thorough range of books, similarly to the bookstore in Novi Sad. 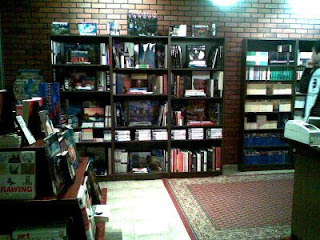 The bookstore is divided into two rooms and the books are neatly organized into several sections. The stock is not impressive because of its size, but because of its variety. The English Book's fiction section is comprised of books by such publishers as Vintage, Oxford and, of course, the inevitable Penguin and Wordsworth classics, which are usually more financially available to the general readership. 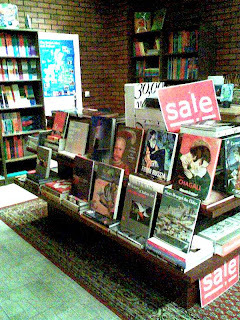 Several shelves are reserved for general fiction and new arrivals which manage to keep the bookstore's offer quite up-to-date. There is also a small chick lit section and two shelves dedicated to novels of thriller and crime genres. An interesting travel section holds guide books and maps, while it shares a shelf with books on architecture, design and music. Also from the non-fiction category there are titles on history, philosophy, psychology and other social sciences. Needless to add, a bookstore bearing such a name is bound to have an English Language Teaching department (after all, this is what The English Book is primarily known for throughout the city): various coursebooks from elementary to proficiency levels, dictionaries, audio books and other teaching and learning aids can be found in the first part of the store.